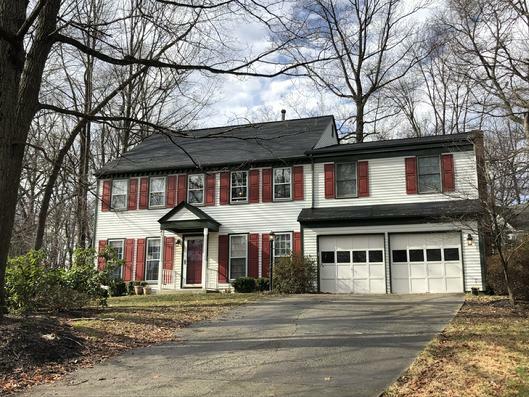 Located in the heart of Reston North Point, this beautiful 4 to 6 bedroom, 2 1/2 bath, expanded Fairfield Bayport Model has lots of upgrades, new carpet and is freshly painted. No through traffic on this quiet neighborhood street. Watch the kids get on the school bus from the front stoop then kick back on your tree shaded backyard deck. The beautifully remodeled kitchen has stainless appliances, new cabinets, white quartz topped counters and extra storage. The kitchen and breakfast nook opens to a large family room with a brick fireplace. Dining room, foyer and hall have hardwood floors, as do several of the bedrooms upstairs. The master bath and has been remodeled with new vanity and tile shower. Conveniently located in Bennington Woods near North Point neighborhood shopping, about one mile from Reston Town Center, and the soon to be opened new Metro Stop.